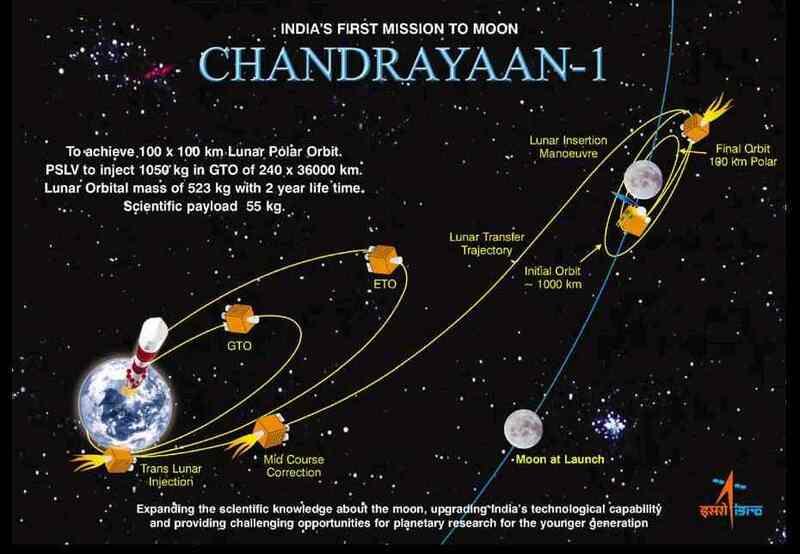 “The Indian Space Research Organisation (ISRO) is planning 2nd moon mission Chandrayaan-2 in 2011. Russia’s Federal Space Agency (Roskosmos) is joining with ISRO for development of Chandrayaan-2 Lander/Rover. …and always check the Ultimate Paper Rocket Guide for free downloads of flyable and static rocket models. UPDATE OCT. 22 – Launch was successful. This entry was posted in Space news. Bookmark the permalink. It was pretty cheap, about 80 million. Now it is time for US to start sending rockets up. A large rockoon could send a probe to the moon. I am Sathya, and i live in Bangalore, India. First of all, let me tell you that i am impressed that the Indian mission features on your site. i thought i might contribute to the news a little. Chandrayaan will be flown on an Upgraded and more powerful version of the PSLV, called the PSLV-XL. Its strap-on motors are lengthen by 3.5m to accommodate some 2tonnes extra propellant, and also, the fourth stage is to carry 2.5tonnes instead of the usual 1.5 tonnes. The structure also has a lot of light weight, high strength carbon fibre material to improve efficiency. Also, the PSLV has had 10 consecutive successes after its induction. It also holds the world record for launching the most number of satellites. It launched 10 satellites early this year. You could also do by posting a high res image of pslv instead of the “comparision” graphic that you have there.